Energy Metering & Monitoring Systems, Inc. offers a complete solution for residential energy allocation. Many apartments and condominiums are configured for easy installation of G.A.S. 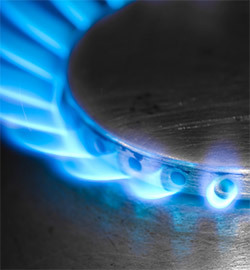 Energy Allocation Systems to measure gas consumed for heating and hot water. Over 60% of gas consumed in multi-family communities is attributable to heating energy. Knowing this offers the best opportunity for cost savings through resident education and the transfer of responsibility for those costs. The G.A.S. Energy Allocation System accurately and equitably allocates gas costs through an integrated solution including wireless technology and high quality gas allocation meters. The G.A.S. Energy Allocation system is designed to measure gas-fired furnaces, domestic hot water heaters, baseboard heating systems, fancoils and fireplaces. By measuring the amount of runtime, and measuring any applicable temperatures, we are able to collect data on individual units to determine energy consumption. We incorporate the manufacturer's efficiency specifications on the heating unit, and the time or time and temperature data, we are able to determine the individual unit's gas usage. The system accurately allocates gas consumption using standard non-proprietary equipment. The microprocessor based design incorporates unique daily tampering circuitry to detect disconnects, cut wires and other types of tampering. In addition, failure of zone valves may also be determined to assist maintenance personnel in their repair work. The unique daily tampering circuitry allows property management to verify equipment up time of 99%+ and subsequent resident utility billing accuracy. G.A.S.T - measures timing and is primarily used for Forced Hot Air (FHA) Furnaces, Domestic Hot Water Heaters, and Fireplaces. G.A.S.TT - measures both time and temperature and is used primarily for Baseboard Radiation and Fan Coil systems.